Special offer on our All Natural Body and Face Soap: Normal price £15.00, save £2.00. This is an all-natural, gentle face and body soap packed with skin-loving essential oils. Handmade in Scotland by an artisan soap maker and EXCLUSIVE to Executive Shaving. It's ultra moisturising and deep cleansing, this soap benefits from the inclusion of finely powdered charcoal which gently exfoliates the skin and helps draw out impurities in your skin. As well as charcoal, the ingredients include soft, pure Scottish water, coconut oil and shea butter for maximum comfort. HIGHLY RECOMMENDED, SUITABLE FOR ALL SKIN TYPES. Powdered charcoal is perfect for exfoliating your skin it rejuvenates and soothes dry, itchy skin it’s especially good for sensitive skin sufferers. Coconut oil is packed with antioxidants which promote healthy skin growth essential in the war against premature aging and wrinkling. Shea butter is rich in Vitamin A, it is a highly effective moisturiser with exceptional skin healing properties as well as improving skin for those who suffer from eczema and dermatitis. This soap is vegan and free from SLS, Parabens, Preservatives and Palm Oil. Lather onto a sponge or directly onto the face and body. After use, it's best to leave the soap in a soap dish near to an open window, keep the soap hard as long as you can to prolong its life. 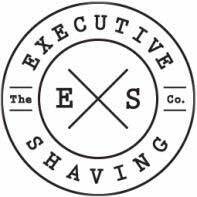 The soap is embossed with the Executive Shaving logo, your guarantee of quality. Browse our extensive range of Hand and Bath Soaps.